One of the biggest challenges that youth library staff faces is providing programming that reaches the widest array of children possible. We cast huge programming nets in hopes of filling our programs with happy smiling faces that are raring and ready for some fun… but what about the shy kids? What about the children that aren’t super excited about being “trapped” in a room with thirty other kids? How can we engage these children without forcing them into our programs? The answer lies in passive programming. This generally underutilized programming option can be the bridge that connects your more shy patrons with library resources and materials. The trick is to portray the passive program as something else entirely, such as a game or fun activity. From my experience, the best method is to create a program that requires no staff supervision, can be completed with very little instructions, and most importantly, seems like it will be super fun! Of the myriad of passive programming options that are available for library staff to use, I find that creating an interactive display ticks the boxes of each of the aforementioned criteria. T his passive program was designed to encourage patrons to explore the library. We wanted to give some of the children and teens that do not have access to smartphones the opportunity to have some of the “Pokémon Go” fun! There were 20 laminated Pokémon that were hidden in different areas around the library. Each Pokémon had a laminated tag with a “key word” on it that the hunters have to mark down on their Pokedex (i.e., Othello, Good eats, Magazines). We created a list, “Pokedex”, to serve as a guide for the scavenger hunt. The Pokedex contains a picture of each Pokémon and most importantly a description which contains clues that will help to find the hidden Pokémon. The clues were designed to make the hunters go to different areas of the library that they may otherwise never go to. Hopefully, this will encourage children to ask questions at the reference desk to help solve the clues. There is a display at the front of the library with the copies of the Pokedex and Pokémon books. To celebrate the spring, we wanted to create our very own growing flower garden. The display itself features a gang of happy little flowers in rainbow flower pots. Behind them are giant growing vines that are waiting for some colorful flowers to grow! The display is a simple scavenger hunt. The children are tasked with finding the seven missing flowers that are hiding throughout the children’s library. Each flower has a word on it that correlates with each letter in the word “Flowers” (Fun, Love, Outdoors, Wish, Enjoy, Real, Sun). The children will have to go around and find the flowers and write down the words that they find. This part of the passive program helps children with letter recognition, word recognition, and basic writing. Once the children find all seven flowers/words, they can color their very own flower to add to the garden. The children will also be able to cut out their flowers which is an important manual precursor to early literacy skills. Hopefully, you are now inspired to create passive programming in your library. Not only does using passive programming and interactive displays provide a great way to incorporate your shy patrons into the programming fold; it also helps to create a fun and interactive environment that helps to keep the children’s library an awesome spot for everyone. 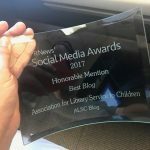 Anthony James Baltiero is a Youth Services Library Associate at the Jacksonville Public Library in Jacksonville, Florida. He is the Chair of the PLA Continuing Education Advisory Board. Keep up with Anthony on his blog, Mr. Anthony’s Bookshelf. 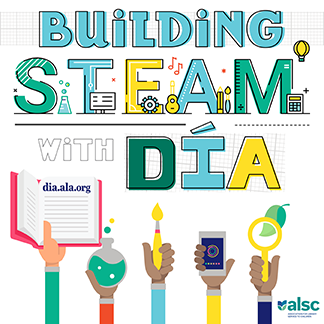 On the Road with ALSC… at IFLA!